I make, I think, five frostings: buttercream, whipped cream, cream cheese, and chocolate. The thing about buttercream is that it's just sort of heavy. I really only use it to frost wedding cakes, where a perfectly smooth finish is requisite and fondant isn't on the menu. When making a really simple cake, I often just used lightly sweetened whipped cream, which really is so delightful especially when fresh berries are involved. But it has to be frosted and eaten pretty quickly, as whipped cream is really only glorious when freshly whipped. I've got no complaints about the chocolate frosting or the cream cheese - only they don't go with every cake. Something that goes with practically every cake is this: mascarpone mousse. It's more dense and fluffy than plain whipped cream and has a longer staying power. It handles added fruit well, but also holds its own. I made a sponge cake for a child's birthday recently and filled and frosted it with this mousse and kids loved it (kids really like simple cakes - and it didn't hurt that I decorated it with chocolate swirls and M&Ms). I've tinkered with different variations on this filling but have settled on just one that is the easiest to prepare with the best texture and flavor. 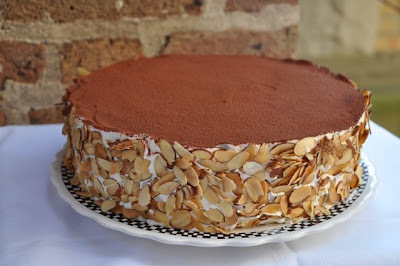 The cake shown above is a sponge cake, soaked with sweetened espresso (hence the Tiramisu appellation), filled with mascarpone mousse, frosted with whipped cream, dusted with Dutched cocoa and decorated with gently toasted sliced almonds. Here's the mousse recipe. Follow the Tiramisu cake link for that recipe. Measure all the ingredients into a mixing bowl (or bowl of a stand mixer) and whisk with an electric mixer for about 5 minutes, until thick and fluffy. Resist the temptation to consume the mousse wolf mode. Use it with fresh berries layered between any yellow or chocolate cake. In an pinch, use it to fill those grocery store individual chocolate cookie crusts, and then top with berries. Charred thin crust Pizza - traditional Neopolitan style. We only order the Margherita. It's beyond perfect. Love the small soft tacos! My favorite: skirt steak with potatoes, onion, cilantro, lime, and chipotle mayo. Battered shrimp is fabulous too. Fine Oaxacan from a Frontera Grill/Topolobampo alum. BYOB to boot. There's many other fine places, of course. And given the conference's location, I'd be remiss if I didn't send anyone to Fox & Obel for breakfast or to find a selection of fine cheeses to take back home. Or Volare, my favorite downtown lunch spot. I can hardly pick between Bistro Zinc and Bistro Margot in Old Town, or Athena in Greektown. Oh, Chicago! How well you feed us! I was horrified to discover the broken pieces of one of my favorite mugs in the trash. I suspect my sister will have a similar reaction when she sees this photo. This was her visiting mug. We do this in each others houses, though I cannot tell you why. We each have a mug that the other one uses exclusively when visiting. It is/was her favorite mug of mine. There must be something in the air with mugs. She just broke my favorite mug of hers (tho she also gave me one of my own to have and to hold in Chicago) a few months before my last visit. 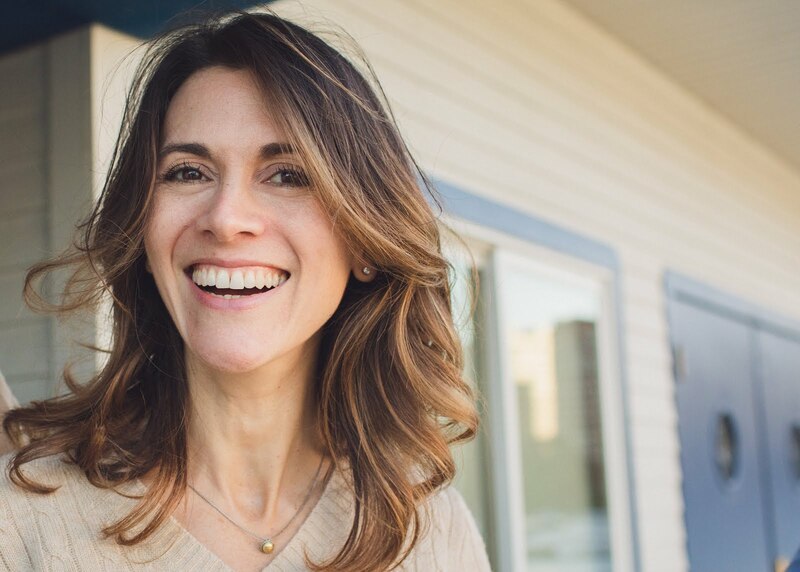 I was just at her house earlier this month and, I have to say, my coffee wasn't nearly as good. I couldn't commit to a new mug. I get way too attached to things. Over a decade ago I bought a dragonfly glass and cried (tears!) when I broke it a few days later. My mother-in-law was kind enough to replace it for me. That I've successfully kept the replacement from breaking is helped, I'm sure, by the fact that it's installed in my bathroom as a container of makeup brushes. Among other attachments, I have a mug that belonged to my mother. We bought it for her at the flea market, I think. It's off-white with brown MOM printed diagonally on the side. I can't even bring myself to use it, terrified that I'll break it (more having, less holding). But I do keep it with all my other mugs. Sentimental and irreplaceable as my MOM mug is, I might still qualify as a complete and total nutter when it comes to affection for drinking vessels. Alas, this newly broken one is also irreplaceable. The shop from whence it came, Beans & Machines, has been out of business for several years. My husband and I lived above Beans & Machines in Seattle for a year or so when we were newlyweds. I’ve been thinking a lot about attachment lately - how strong and yet unnecessary it can be. I think if we’re wise we prioritize our earthly attachments, putting people above places, objects and animals. I just read Remembering Denny, in which the author, Calvin Trillin, observes that we rarely know how much space we've occupied in someone's life. I think that's true, and would add that there's something to be said about the space PLACE takes up in our lives. I have strong personal attachments to places I've lived and make efforts to keep those places a part of my everyday. Mugs manage to do this for me, as do spices. Beans & Machines hardly qualifies as something that occupied space in my life, unlike the people with whom I consume coffee. Anyway, I'm reminded to hold dear the people in my life who make places so enjoyable. I suppose I can envision the mug's evolution. How does this look? And, can I please get a shout-out for the artiste responsible for my PINCH sign? Garlic scapes, the wily shoot that grows out of the top of the garlic plant, appear for just a few weeks each year. Lucky for me, they appeared in my sister's CSA basket. She turned them into pesto and me into a knute. (I got better.) No, no...she turned me into a FAN of the scape. On Beth's recommendation, I used Dorie Greenspan's garlic scape pesto recipe with a few adjustments. Be forewarned - this is for serious garlic lovers only. 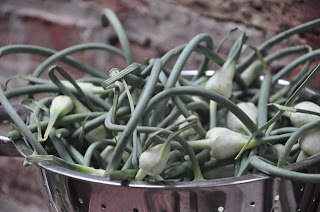 Scapes have a mellow garlic flavor, but it's still garlic as the base of the recipe. To be sure: Your. Breath. Will. Stink. Use the prepared pesto like you would any pesto - tossed into pasta, slathered on crostini, stirred into soups, or used as a marinade or salad dressing base. The farmer who grew these scapes recommended an alternate preparation: trimming them to green bean length and sauteeing them. I might try that sometime, tossing some slivered almonds and hot chili flakes into the saute pan as well. Place scapes, parm, cooled pine nuts and a pinch of salt in the bowl of a small food processor. Process until smooth and well ground. Add olive oil and process into a paste. Adjust seasoning. It is ready to use. To store, transfer pesto to a small bowl and press onto the surface a piece of plastic wrap. With the advent of the electric home ice cream maker, there's no real reason for you to not give this a try sometime. Even those old-fashioned wooden bucket contraptions make for a fun evening of entertainment for kids. Do be careful with your instructions, tho, if using that old school one. 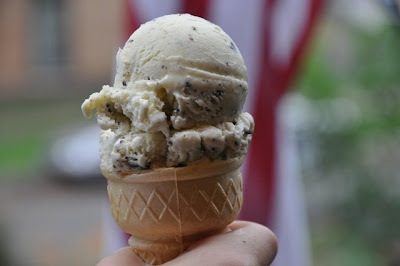 Once, when I was a camp counselor, campers added the salt to the ice cream, rather than the ice. They spent tons of time churning, only to have made grossly salty ice cream. It was epically disappointing for them, and their descent into savagery was quick. It's a wonder I lived to make ice cream again. You don't have to wait for summer to make ice cream, but for Mint Ice Cream you absolutely need fresh mint. Here you have some choices about what variety of mint to use. I usually go with spearmint, which is more mellow. Peppermint seems a little too harsh. Chocolate Mint is a nice option, if you see it at the market. I usually keep it growing in a large container, using it throughout the summer for mojitos and Greek salads. I've been lazy this summer, though, so I just grabbed some at my farmer's market. As for equipment, I have two freezers. Both are the stick-the-bowl-in-your-freezer variety. The plug and play models that I used professionally are just too pricey for the home kitchen. The one I like best is the bowl that attaches to my KitchenAid mixer. It's nice and big and does a good job. Make sure you have a big covered container to store the ice cream once it's done spinning. 1. Whisk together egg yolks in a medium/large mixing bowl. 2. Set a heavy medium saucepan over moderately low heat and add milk, sugar, and mint. Heat until steaming but not boiling, lower heat and stir until sugar is dissolved (about 2-3 minutes). Remove from heat, cover, and let steep for 25-30 minutes. 3. Reheat the mixture to steaming. Ladle about 1/2 cup hot milk mixture into egg yolks, whisking constantly. This is called TEMPERING. Pour a few more ladles of hot milk into the eggs and keep whisking. Then, slowly pour the egg mixture back into the hot milk, still whisking away. Set over low heat, and cook, stirring constantly (I like to use a heat resistant spatula at this point, or an odor-free wooden spoon), until mixture thickens enough to coat back of spoon (finger drawn across spoon will leave clear path) - it should take about 5 to 6 minutes. Strain into large bowl and stir in heavy cream. Chill until cold, either in an ice bath or overnight in the refrigerator. Note: If your heat was too high and the eggs curdled or cooked, just toss the whole thing and start over. There’s no way to save it. 4. When ready to freeze, strain the mixture once more. 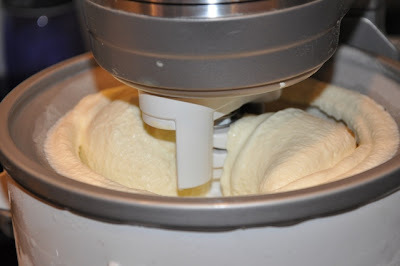 Process cold cream base in ice cream maker according to manufacturer's instructions. Add the chopped chocolate during last minute of churning. Transfer to airtight container, cover well and freeze until hard, about 3 hours. Serve and enjoy. I don't get to as many cooking classes as I would like. A recent one at Chicago's Chopping Block provided a great opportunity to mingle with friends from our awesome neighborhood school, cook, eat and later, in the school's lobby/storefront, wine-goggle costly kitchenware (many of which were more useful than the wine-goggling would imply). Anyhoo, this salad was the thing I enjoyed most. I'm not sure what makes it Sicilian, per se. Surely the olives, tomatoes and capers are classic south-Mediterranean ingredients. Naturally I can hardly mention anything Sicilian without quoting Vizzini: "Never go in against a Sicilian when death is on the line!" Make sure to spin lettuces well to remove as much water as possible. Add salad ingredients (arugula through capers, above) to a salad bowl. Drizzle with oil and vinegar and add salt and fresh ground pepper to taste. Toss and serve.